* You may vote at any polling location where you see a "Vote Here" sign. 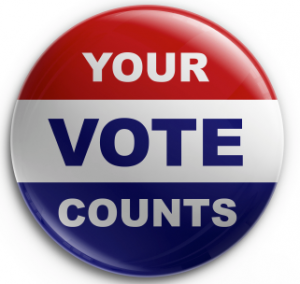 You do not have to go to a designated location to vote. Vote anywhere that is convenient to you during early voting or on election day. September 10, 2014 OHAN District 8 Forum Hosted by The Oak Hill Association of Neighborhoods (OHAN), held at the Southwest Family Fellowship Auditorium. Summary provided at <Oak Hill Gazette OHAN District 8 Candidate Forum > September 16, 2014 City of Austin / League of Women Voters District 8 Forum Sponsored by the City of Austin Ethics Review Commission and moderated by the League of Women’s voters, held at Austin Community College on Stassney Lane. Video provided at < Video of District 8 Forum> September 29, 2014 “Ballot Boxing”District 8 Forum Hosted by the Austin Monitor, KUT News, KXAN and Univision at the Alamo Drafthouse Slaughter Lane. Video (courtesy of KXAN) and summary provided by the Austin Monitor can be found at <Ballot Boxing District 8 Forum> October 7, 2014 Shepherd of the Hills Presbyterian Church District 8 Forum Hosted by the Shepherd of the Hills Presbyterian Church at 5226 W. William Cannon Blvd from 7-9 p.m.